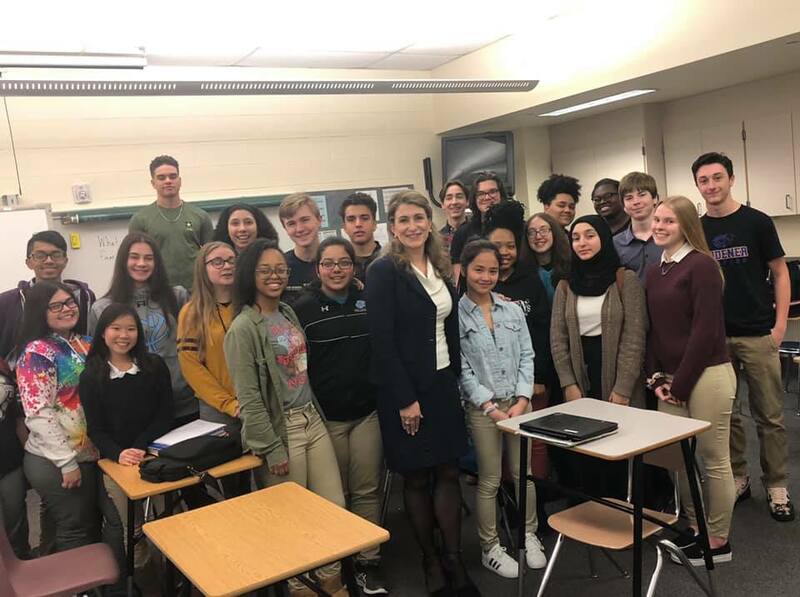 It was a pleasure to speak with Mr. Stalker’s AP Government class at East Stroudsburg North High School. These students were wonderful and asked a lot of great questions! I strive to help our students understand the legislative process, be comfortable around their elected officials and work with them on important issues. Last week, I visited with members of our local Pocono Mountains Association of Realtors (PMAR) at the Pennsylvania Association of Realtors Inaugural Gala in Harrisburg. 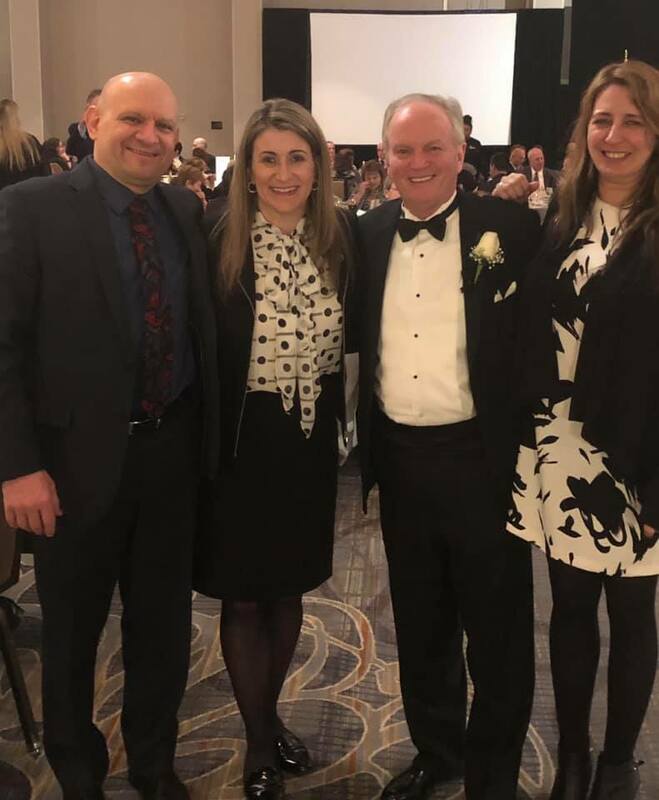 Pictured from left are: PMAR’s President Spiros Bilianis, me, PA Association of Realtors President William McFalls Jr., and PMAR Association Executive Nicole Murray. 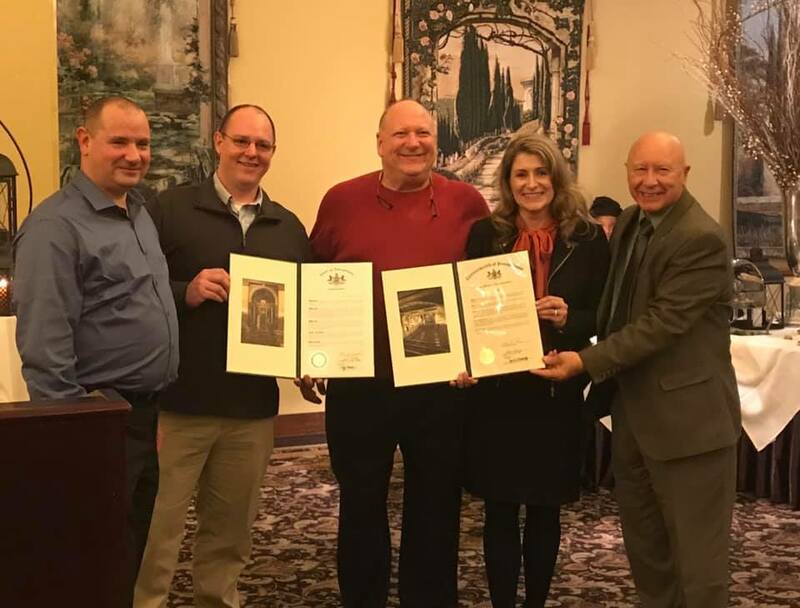 This past weekend, Sen. Mario Scavello and I were honored to thank Chief Leon Clapper and all the volunteer members of Blue Ridge Hook and Ladder Fire Company for their continued dedication to our community. Blue Ridge serves Hamilton and Ross townships, as well as other surrounding areas when needed. Chief Leon Clapper, pictured in the center, was especially recognized for his 40 years of service with 31 of those acting as chief! Congratulations, Chief Clapper, and let us all remember our fire companies are all volunteers and need your support! The Penn State Extension Master Watershed Steward Program in Monroe County is training a new class in spring of 2019. They are looking for individuals that have an interest in the environment, a willingness to learn more, and most importantly, a strong desire to make a difference in the community. The 2019 training program will begin on Thursday, March 14, and continue on subsequent Thursdays from 6-8:30 p.m. through May. 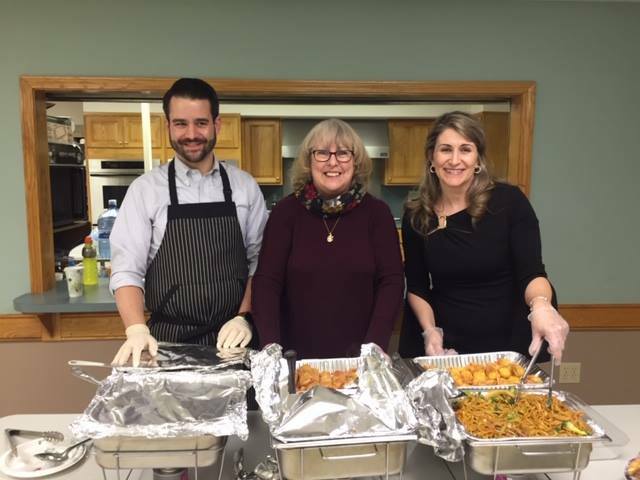 The informational sessions will be held on Tuesday, Feb.5, from 7-8 p.m. and on Saturday, Feb. 9, from noon to 1 p.m., at Kettle Creek Environmental Center, 8050 Running Valley Road, Stroudsburg, with several hands-on Saturday field trips throughout Monroe County. Please call (570) 421-6430 or (570) 629-3060 to pre-register for either session. I am looking forward to hearing the governor’s proposal and reviewing the details in the coming weeks as the Appropriations Committee will begin its series of hearings on the proposal on Feb. 11.